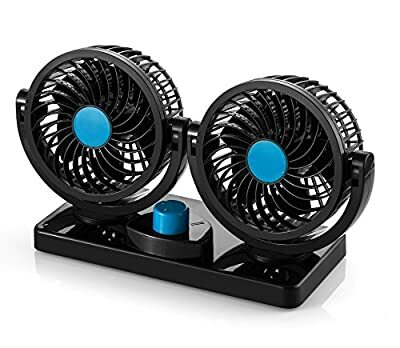 Fits any car or boat, Prevents heat build-up while parked, with 360 degree freely rotation design and two speed levels. Quickly cool down your back seat in minutes during the hot summer time! 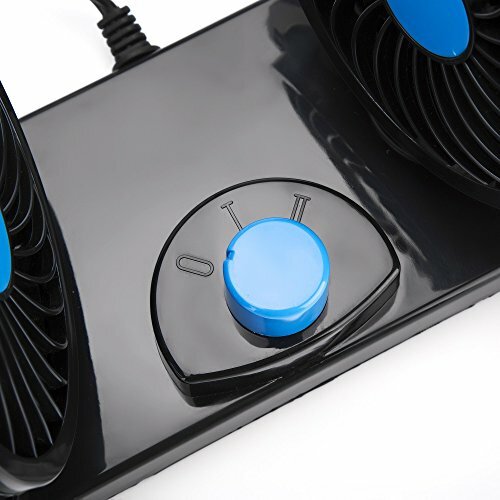 We are so confident that this is the BEST Air Cooling Fan product for your money. For any reason you are unsatisfied with our product, simply contact AboveTEK customer service for exchange or refund, no question asked! Thousands of people are enjoying AboveTEK cooling fan for an enjoyable driving experience every day, you shouldn't miss it! CLICK "Add to Cart" yellow button above to get it now. PREMIUM Made 12V Fan Blowing Hot Air Out of Parking Car Efficiently. 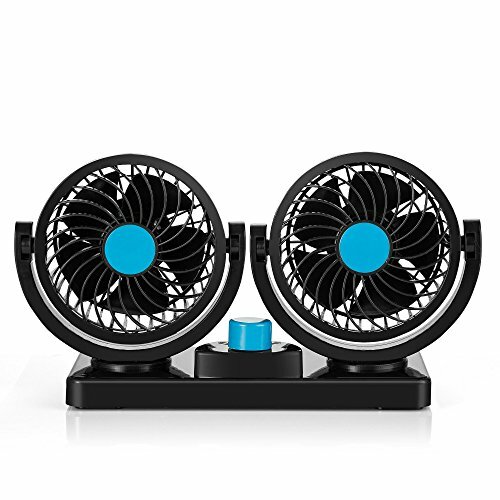 Immediately Cool Down Driver Passengers with 2 Swivel Fan Heads. Feeling Cool for your Baby or Pet Dog at Back Seat with 9-Feet Cord and 2 Level Speed Controller When Air Conditioner is Weak. Excellent Car Ventilation Fan Choice with Kids Safe Design. QUICKLY And Effectively Removing Unwanted Cigarettes Tobacco Smoke or Dust, Eliminate Pet Odor Smell. Defrosting Windshield in Seconds in Winter for Safe Driving. IMPROVING Air Circulation and Air Quality Staying Fresh and Cool in Automotive Vehicles or Boats. Perfect for Summer Golf Cart Working As Dual Blade Air Circulator Fan. STRONG Wind Low Noise Motor Come with 3M Brand High Quality Adhesive Stickers to Secure the Fan to Dashboard or Arm Rest Area. FITS All Mini Small Compact or Medium Large Full Size Sedan SUV Van Truck RV ATV Boat with 12VDC Cigarette Lighter Socket (Not for 24V Trucks). Comes with AboveTEK Industry Best 100% LIFETIME WARRANTY.